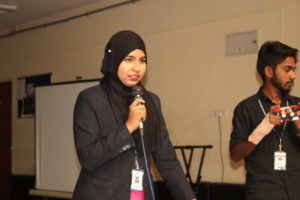 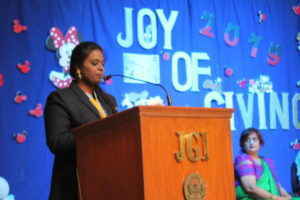 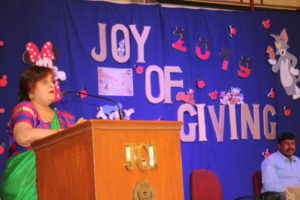 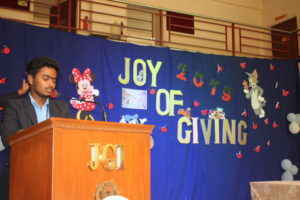 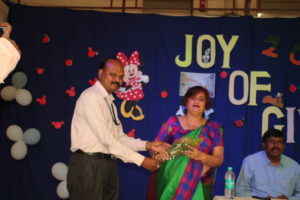 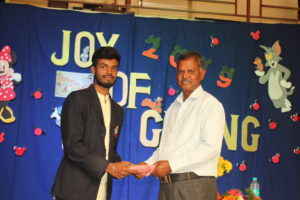 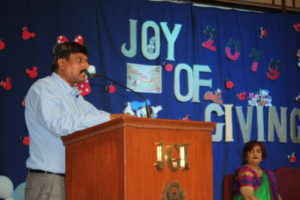 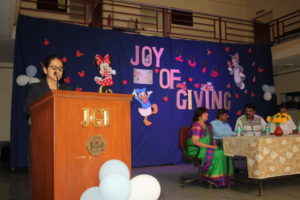 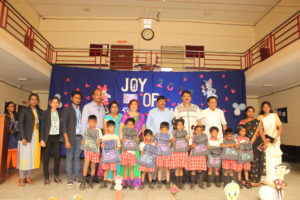 Department of Management studies organised Joy of Giving on 12th February 2019, in the college. 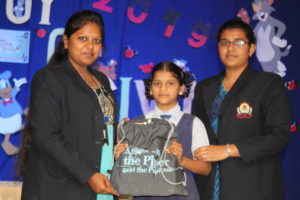 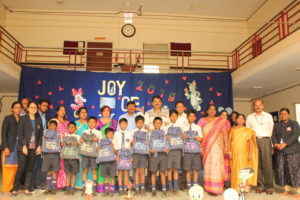 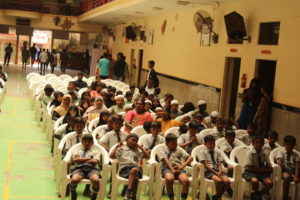 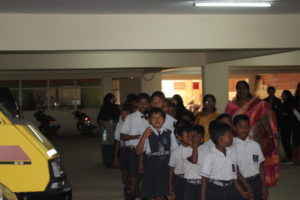 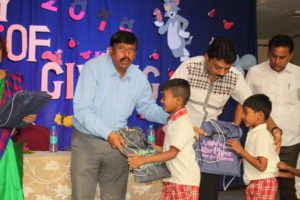 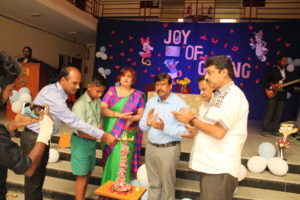 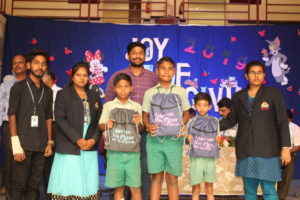 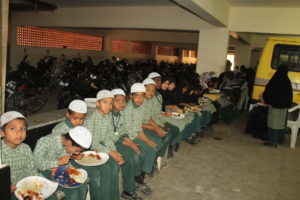 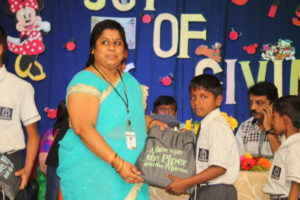 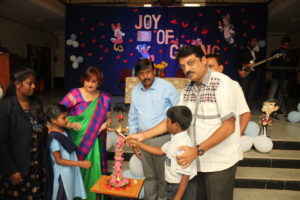 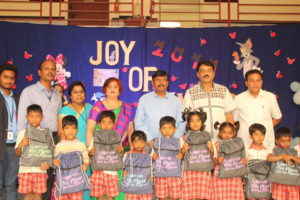 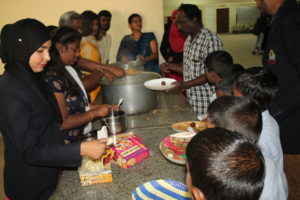 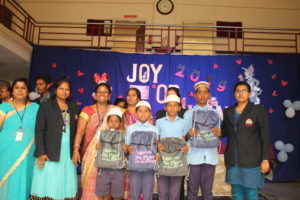 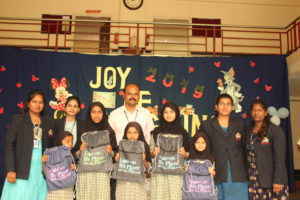 The Department donated books, school bags and other stationary items to 100 poor school students from six various schools and also provided lunch for them by collecting funds from the students, staff and management and also they collected the funds by organising an event Chef Kings on 4th October 2018. 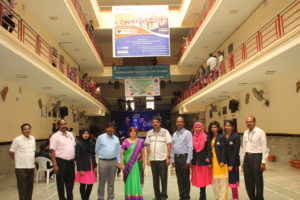 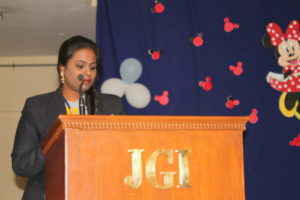 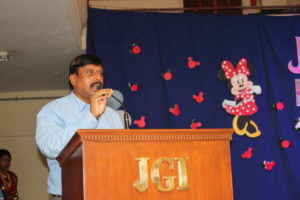 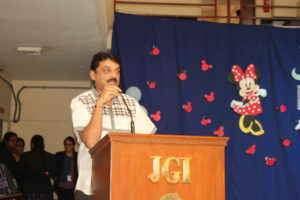 Chief Guests for the function were Dr B. T. Venkatesh, Director, Advisor Examination, Jain University, Mr. Mahender Kumar Munoth, Managing Trustee, SBMJC and Dr. Rekha Sethi, Principal, SBMJC, KGF. 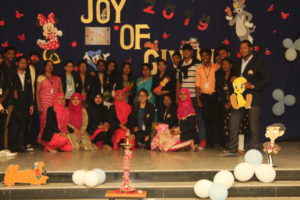 This entry was posted in Campus drives, Dept of Management Studies on February 12, 2019 by sbmjcPRO.